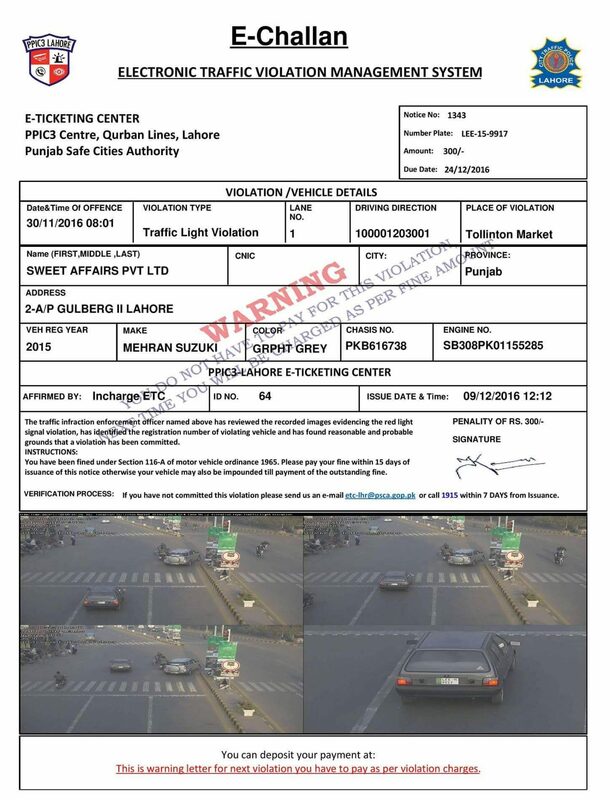 In an aim to improve traffic management without any human interference and to tackle corruption, Punjab Safe Cities Authorities (PSCA) launched the e-challan system in Lahore, last year in September 2018. The ANPR cameras that have been installed all over the city are used to identify traffic violators. Following their identification process, the e-challans are then dispatched to the home address of these violators. These electronic tickets come with the upgraded facility of paying fines via the Internet through online banking with the click of a button instead of standing in long queues for a significant part of the day. This was indeed a great step taken by the authority to make e-ticketing process free of corruption and hassle-free for the people of Lahore. The authority is working extensively to introduce the same system in other cities of Punjab as well. 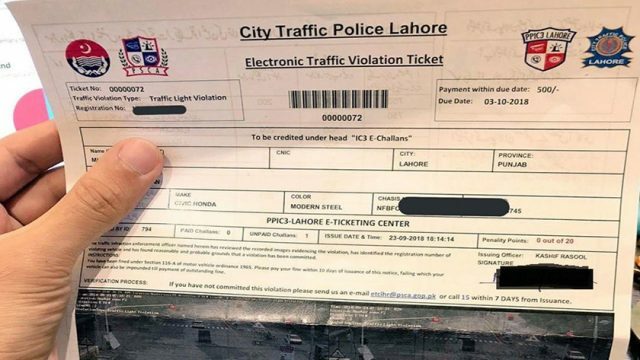 Much time has been passed since the system was launched in the city, but still, a lot of people are commenting on social sites as to how one can check the e-challan online and how one can pay it online. In this blog, we will be telling you guys a step by step procedure as to how one can easily do both the tasks? How to check e-challan online? Anyone can check the status of the e-challan against their vehicle by simply visiting echallan.psca.gop.pk. Just enter the CNIC and vehicle registration number, it will show you the status of your e-challan. You can easily download and print the e-challan as well. 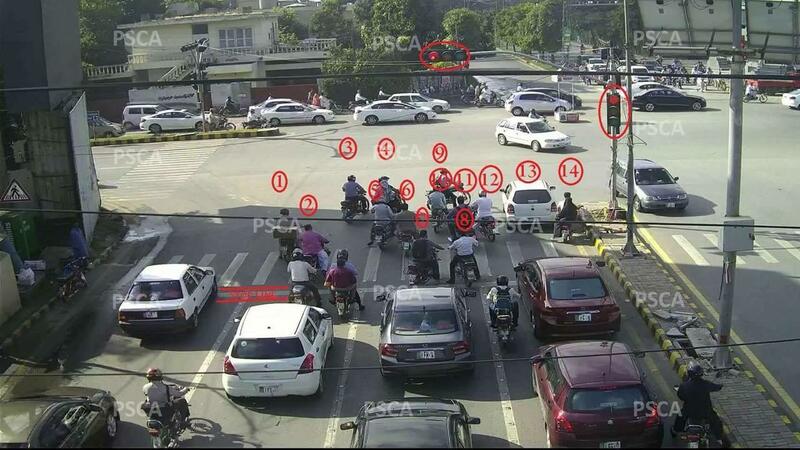 How to pay e-challan in Lahore? If the authority has sent the challan to your house just go to the nearest branch of Bank of Punjab and National Bank of Pakistan and pay the fine. You can also pay the e-challan through Bank of Punjab ATMs. No need to stand in long queues, just go to the nearest branch and submit the fine through an ATM. If you are issued an e-challan, but never got it delivered to your home or you misplaced it, visit the authority’s website download, print it and after that submit it. Note here that an Android mobile application is under development for online payment of e-challan. The application will be launched soon by the Punjab Safe Cities Authority to facilitate the residents to a much greater extent. Once the application is launched, it will be available on the Play Store and the residents can download it easily on their smartphones. The application will allow the people to easily check the status of e-challan against their CNIC and registration numbers at any time of the day. Moreover, people will be one click away from checking their current status of any pending e-challan and paying it through the integrated BOP mobile banking. That’s it from our side, if there is any update regarding the change in the policy of submitting or checking the e-challan online, we will update you guys, so stay tuned to PakWheels.com. what if due date of challan is passed? 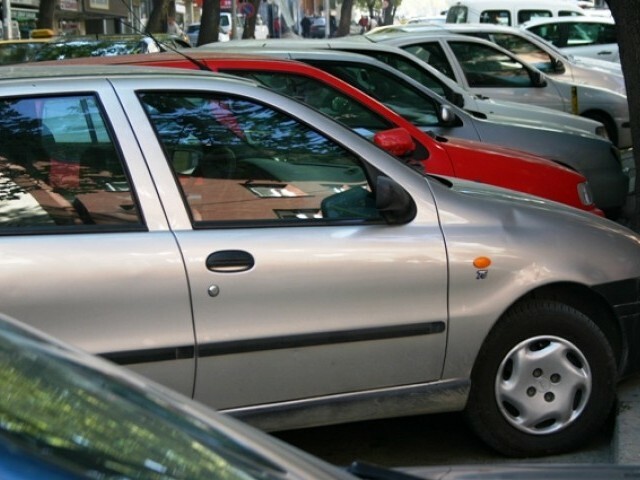 How to pay and how much to pay extra?